Tony Shalhoub may no longer be BrainDead. Deadline reports the actor has joined Amazon’s new pilot The Marvelous Mrs. Maisel. The dramedy comes from Gilmore Girls creator Amy Sherman-Palladino and follows Miriam “Midge” Maisel (Rachel Brosnahan), a young woman who starts doing stand-up comedy in 1950s New York. What do you think? 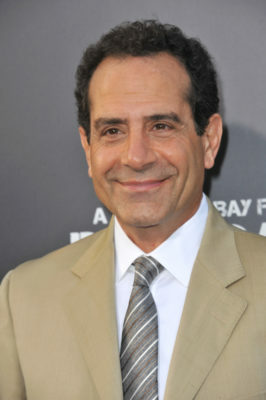 Are you a fan of Tony Shalhoub? Would you watch The Marvelous Mrs. Maisel? I don’t know if this means the end of Braindead because I don’t know what happened to his character on the show. Hopefully, it does.